YASUNAO TONE was one of the first Japanese artists active in composing "events" and improvisational music. 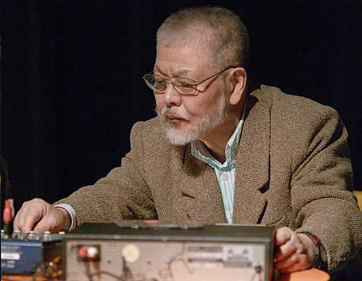 He has been active in the Fluxus movement since 1962 and has also been an organizer and participant in many important music and performance groups such as Group Ongaku, Hi-Red Center, Team Random (the first computer art group organized in Japan). Primarily a composer, Tone has worked in many media, creating pieces for electronics, computer systems, film, radio and television, as well as environmental art.